While not every type of business or industry is required to use EDI, it is quickly becoming a standard for handling all types of business documents and EDI transactions. Manufacturers use EDI to control their supply chain processes, namely EDI transactions such as the 850 purchase order and the 810 invoice, in effort to increase operational efficiency while reducing costs. Arcelor Mittal is a Luxembourg-based multinational steel manufacturing corporation formed in 2006 from the takeover and merger of Arcelor by Mittal Steel. Arcelor Mittal is the world’s largest steel producer. Arcelor Mittal Montréal plays a key role in Arcelor Mittal’s activities in North America. 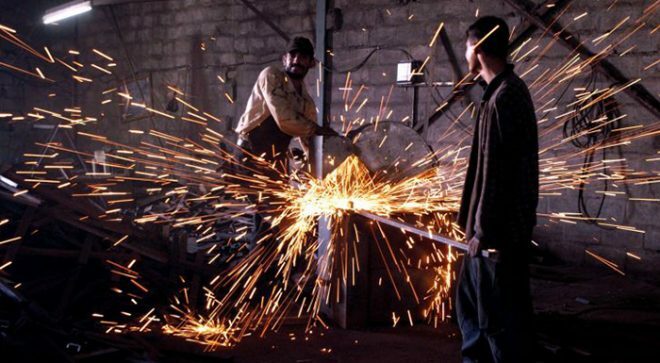 It produces semi-finished products, such as slabs and billets, for internal use and the export market, and manufactures a wide range of high-quality long steel products sold in Canada and the U.S. for applications in the automotive and construction industries. So if you are looking to do business with Arcelor Mittal, you will need to become EDI compliant and meet all the required EDI requirements, related to their EDI transactions and EDI supply chain processes. This blog will address Arcelor Mittal’s EDI transactions and supply chain flow that we believe is important for you to know, as a supplier, when implementing EDI with Arcelor Mittal. What are the EDI transactions required by Arcelor Mittal ? So what is EDI and why do retailers require it? Electronic Data Interchange (EDI) refers to the structured transmission of data between organizations electronically. Benefits of transmitting documents through EDI will be seen in many areas, including reduced time and payment delays, reduced labour costs, improved data and inventory accuracy, increased information accessibility, and ultimately, facilitated business activity. 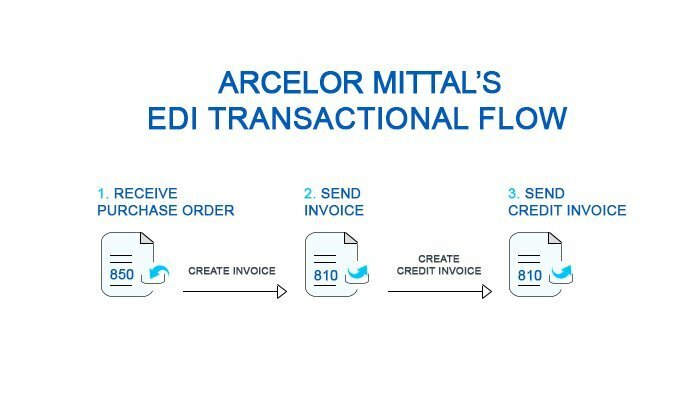 What Arcelor Mittal’s EDI transactions mean in business ? So now that you know which EDI transactions are required, you are probably wondering what they actually mean. So let’s break it down! The EDI 850 is a Purchase Order transaction set, used to place an order for goods or services. The 850 generally provides the same information you would typically find in a paper Purchase Order (PO) document. Once you receive a Purchase Order (EDI 850) and subsequently ship the goods, you will need to create and transmit an EDI 810 (invoice). The EDI 810 Invoice transaction set is the electronic version of the traditional paper-based invoice document. Payment processing of EDI 810 invoice is naturally faster than that of paper based invoice as data entry and manual processing is avoided. In fact, some retailers may penalize you for sending paper invoice by charging you a set fee for the manual processing of each paper invoice they receive, should you fail to comply and not send your invoices through EDI. It is important to note that you cannot consolidate multiple purchase orders under one invoice. Each invoice (EDI 810) must correspond to a single purchase order. Also, it important to note that no charges and allowances can be applied to Arcelor Mittal’s EDI 810 invoices. However, in cases where you would need to apply a credit to an already processed and transmitted invoice (EDI 810), you will be able to do so as Arcelor Mittal allows for the receipt of credit invoices (EDI 810). Once Arcelor Mittal is in receipt of a compliant EDI 810 invoice, payment will be issued accordingly, thereby completing Arcelor Mittal’s EDI transactional flow. A few tips to keep in mind when setting up EDI with Arcelor Mittal! It is extremely important to ensure that your EDI transactions and EDI output are compliant and conform to Arcelor Mittal’s EDI guidelines and EDI business rules. Testing your EDI transactions and ensuring 100% EDI compliance, prior to receiving production EDI documents, is extremely essential to eliminating the risk of having EDI errors, and potentially chargebacks, due to EDI non-compliance issues. Unless you have an experienced team in house of EDI experts who know how to map EDI transactions and can produce compliant EDI data, you will need to use a third party EDI provider to manage your EDI set-up with Arcelor Mittal, as well as production data, on your behalf. Make sure to do your research and select a reputable third party EDI provider to work with. Make sure the EDI provider you have selected has ample experience in working with Arcelor Mittal, having transmitted countless EDI transactions on behalf of its suppliers. EDI Gateway Inc for example, having successfully completed an EDI rollout with Arcelor Mittal (formerly known as Sidbec), uses fully EDI compliant tools, whereby they embed validation maps in their back end systems to allow the tools they use to detect EDI non-compliance errors and, therefore, ensure that the outgoing EDI data that is transmitted to the Arcelor Mittal is 100% EDI compliant with its business rules and EDI guidelines. So be sure to choose wisely! Another important tip is to read the vendor manual and familiarize yourself with all the different business rules associated with each EDI transaction. This is especially important if you are integrated and are using your in-house EDI system to transmit EDI documents to Arcelor Mittal, as opposed to a 3rd party EDI provider’s compliant tools. Having such EDI capability will allow you to generate and transmit EDI 810 invoice files through an automated process, without manual intervention, while achieving 100% EDI compliance, increasing productivity and reducing EDI transaction costs, whether by using your ERP system or accounting package, or even an FTP file transfer. We truly believe that having access to relevant information, related to EDI transactions as well as your retailers’ EDI business rules and EDI guidelines will help you tremendously when you are faced with the complex challenges associated with EDI implementation. So use the information available to you and inform yourself. The more you know the less overwhelming the process will be! 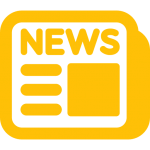 We trust that this blog has been informative and we wish you luck with your EDI initiative with Arcelor Mittal! Feel free to comment and open up a dialog or discussion ! With over 16 years of experience in the EDI retail industry across both Canada and the U.S, Sharon Barr is part of EDI Gateway’s EDI lead team, where her lead role is primarily in EDI integration. Yes, we have been proving EDI solutions to Arcelor Mittal suppliers for over 10 years now. We provide EDI Solutions such as Web Portal, Integration, File Transfer and also offer VAN services. Our company has been opened for over 24 years and our expertise relies in having a deep knowledge of the HUB business rules to ensure compliance, reduce errors and avoid chargebacks to our valued customers.